When your home has heating and cooling problems, you don’t want just anyone traipsing inside to fix your HVAC. You want someone you can trust. You need a reliable, experienced heating and cooling expert that can provide you with the solutions and repair you need. You want the perfect mate. That’s us! Cool Techs Heating & Air. Our customers are our livelihood. So, when it comes to service, we give nothing less than our very best. For HVAC knowledge, work ethic and top-notch customer service, we truly feel there is no better choice than Cool Techs. Our technicians will show up promptly at your doorstep, answer questions and provide solutions. And we do it all, too! Need heating and cooling repair? A brand new indoor air quality system? No problem! These services are just the tip of the iceberg when it comes to what we can do to improve your indoor environment. We are highly experienced in installing, servicing and repairing air conditioning, heating and indoor air quality systems for both residential and commercial clients. 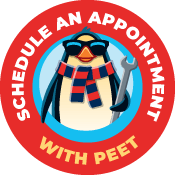 We have experiences with every make and model and offer some excellent HVAC service plans to help keep your systems running smoothly for years to come. Whether you need residential heating or commercial air conditioning service, let the experts at Cool Techs be your very first call. Want the Cold, Hard Facts? The truth is our customers love our reliable, top-notch products and services.